Amnesty International has demanded the re-opening of a landmark case against Britain over the alleged use of torture in Northern Ireland during the Troubles. The then government took the case of the "Hooded Men" to the European Court of Human Rights in 1971, alleging a breach of the European Convention on Human Rights. Fourteen Catholic men interned that year said they were subjected to a number of torture methods. These included five techniques - hooding, stress positions, white noise, sleep deprivation and deprivation of food and water, along with beatings and death threats. The men were hooded and flown by helicopter to a secret location, thought to be a British army camp at Ballykelly, outside Derry. An RTÉ Investigations Unit documentary in June revealed new evidence that the British government authorised the "deep interrogation" tactics at the highest levels. 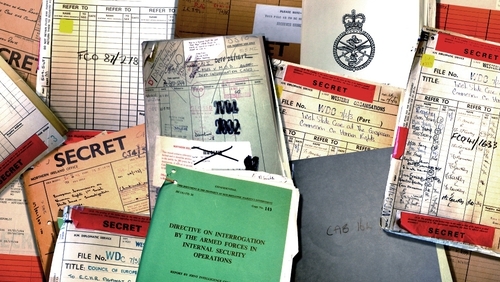 It included a letter in 1977 from home secretary Merlyn Rees to prime minister James Callaghan, in which he states his view that the decision to use "methods of torture in Northern Ireland in 1971/72 was taken by ministers - in particular Lord Carrington, then secretary of state for defence". Mr Rees said that "a political decision was taken". Amnesty International said the documents show the British government withheld crucial evidence from the European court during the original hearing and that senior government ministers sanctioned the use of torture, which they had denied. The evidence could have led to a different finding by the European court, it said. In the original case against Britain, the European Court of Human Rights found the Hooded Men were subjected to inhuman and degrading treatment, but it ruled it was not torture. Thomas Hammarberg, who led the human rights organisation's 1971 mission to Northern Ireland to investigate internment, said the British government had a responsibility to establish the facts. "The allegation that the UK government misled the Strasbourg Court in the Hooded Men case must be taken very seriously," he said. "If substantiated, this was a grave, additional injustice to the victims, and allowed impunity then and for those who have used such methods in other situations in the last four decades." Under European rules, Ireland can request the case be re-opened within six months of new evidence emerging. Last month, Amnesty International wrote to Taoiseach Enda Kenny, pressing him to ask for the case to be re-opened. The deadline for an application is 4 December. Colm O'Gorman, executive director of Amnesty International Ireland, said the clock is ticking. "These men and their families have a right to truth and justice," he said. "We recognise the diplomatic challenges in Ireland's seeking to have this case re-opened. "However, we hope the Irish Government today shows the same determination of its predecessors in 1971 who took a bold and unprecedented step to uphold the rule of law and expose human rights violations." Mr O'Gorman said the government argued at the time that the UK tactics amounted to torture, and urged it to do so again. The organisation also wrote to British Prime Minister David Cameron, urging an independent investigation into the allegations. A number of the surviving Hooded Men, including Francie McGuigan, Kevin Hannaway, Michael Donnelly, Jim Auld and Joe Clarke, backed the call during a press conference organised by Amnesty International in Dublin. Human rights groups The Committee on the Administration of Justice and the Pat Finucane Centre have both backed Amnesty International's challenge to the Government to seek the reopening of the case. "These recently discovered documents suggest that the British Government withheld vital medical, legal and policy documents from the European Court of Human Rights and the Irish Government in respect of the case taken to Europe by the Irish State alleging torture," they said in a joint statement. "We have requested that the Irish Government seeks a re-opening of the case of Ireland v UK given the discovery of these facts which may lead to the European Court of Human Rights revising its judgment." The Department of Foreign Affairs said in response: "This matter is being taken very seriously by the Irish Government. "We are still exhaustively reviewing the thousands of documents submitted by RTÉ and the Pat Finucane Centre in relation to the case. "No decision has been taken on whether or not Ireland will request the European Court of Human Rights to revise its judgment in this case. "It is expected that when a decision is reached by the Government, it will be made public."